Barry Brown finished his senior season at Kansas State with a statline of 14.6 PPG, 2.8 APG, 4.1 RPG, 1.9 SPG, and 1.9 TOPG on shooting splits of 43.4/29.8/71. Overall: Barry Brown is leaving his successful college career behind him as he embarks for the NBA. 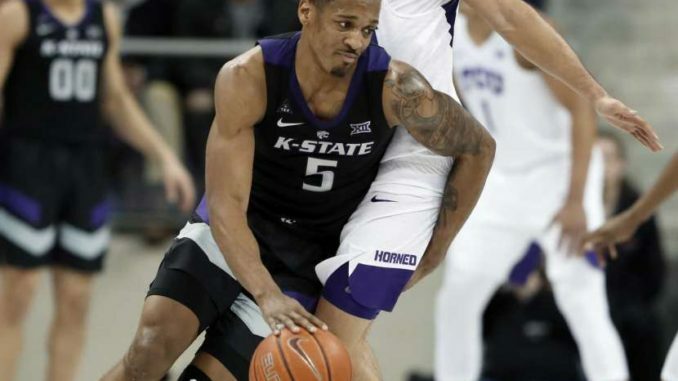 Brown was a two time member of the Big 12 All-Defense team and won the 2018-2019 Defensive Player of the Year for the conference. Needless to say, Brown’s best trait is his defense- and it should translate. Although Brown doesn’t have long arms, he checks every other box for his defense translating: his quickness, reaction time, anticipation, intelligence, and motor are all plus traits for him. He should be able to cover point guards, shooting guards, and small forwards well. Offensively, Brown is a mixed product. His positives offensively include playmaking, getting to the basket, and mid range shooting. Brown would best serve as a secondary or tertiary playmaker in an offense, as he isn’t a dominant or alpha playmaker. Brown needs to become a more confident shooter, particularly in spot up situations. Many times at Kansas State, he hesitated taking uncontested 3s, preferring to take jumpers off the dribble. He will need to expand his game by taking more 3 pointers and less mid range shots, which could be a potential question mark given his form and shooting percentages. He shot 32% from NBA 3 this year, according to The Stepien’s shot chart tool. The area where Brown will be able to thrive the most offensively in the NBA is as a slasher. He is a very quick player with a quick first step, and finishes at the rim at an above-average level percentage. Brown’s quickness will be a big point for him on both ends. Offensively, his speed will boost his slashing ability. Defensively, his agility helps him cover a lot of ground defensively and defending against the drive. Fit with Dallas: Brown would be a solid option off the bench in a similar role that Devin Harris has taken over the last 3 seasons. Brown could inherit the role as Devin Harris approaches his final NBA seasons. Harris has played roughly 15 MPG for the last 3 seasons. In those minutes, he’s been a positive defender and adequate secondary ball handler & playmaker. Another strength for Brown is that he can be a secondary ball handler, and could fit well with both Jalen Brunson and Luka Doncic in a lineup.